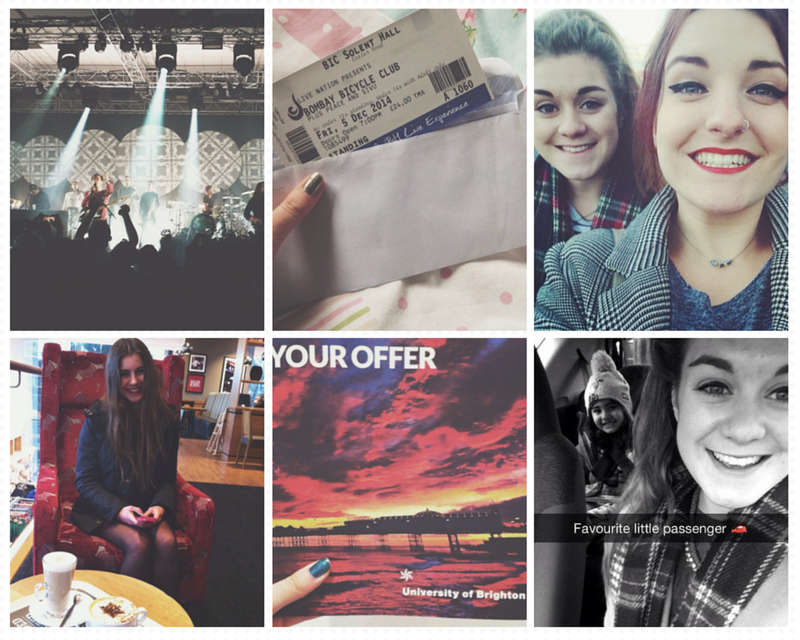 A few snapshots from Bombay Bicycle Club’s So Long, See You Tomorrow Tour with Holly. One of my favourite albums of 2014, with Carry Me being one of Zane Lowe’s top 100 hottest records of the year I don’t know why you wouldn’t be listening to them. This song was also their encore, and oh my goodness it was brilliant. I beg of you, go and listen to them on Spotify, and while you are there take a listen to James Bay. Aka voice of an angel. No need to thank me. This was necessary, we had important stuff to discuss and well hey why not take a photo of her because she’s beautiful. Also it felt super cosy and christmassy in Costa. My little cherry blossom cousin turned 4, and I spent the day listening to Let It Go and talking all things Frozen. But I didn’t care because she loved it, and it made me so happy to see her happy. Official offer from University of Brighton! Which kind of scares me to think I will be moved out this time next year. Although thinking about being a student in Brighton, and studying media and advertising is pretty much my dream at the moment. Not much, but just a few thing’s I’ve been up too lately. All photo’s are from my Instagram account, follow me for more!